Once the customer has placed the order please proceed to the web chat. One of our customer service reps will advise you regarding your order and the start time. In order to connect remotely please proceed with the following instructions. 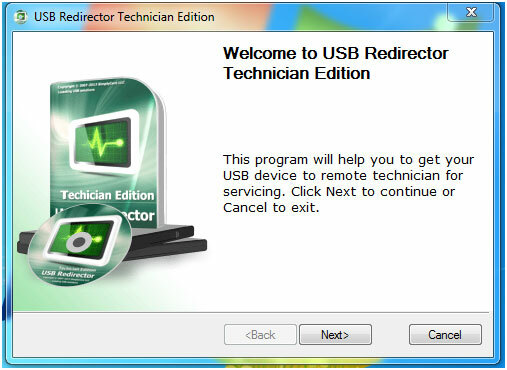 Please CLICK HERE to download the USB RE-DIRECTOR client edition and run it on your Windows. Once the program is launched on a Windows based device please press next. Then, it will prompt for technician address. 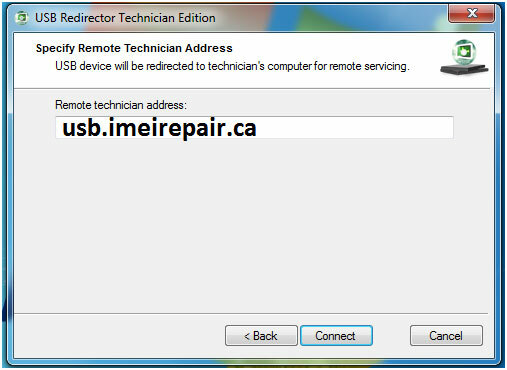 Please put the following address for connection: usb.imeirepair.ca and press next. After the connection has been made you will see Step 1 – Plug your USB DEVICE – please plug your phone now. Unless the device is plugged it will not go to second step and if its not on the second step we are unable to connect with your device. 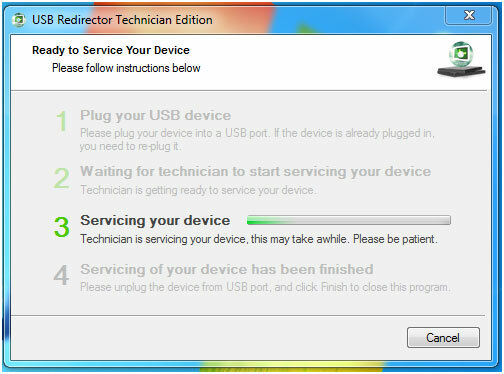 Now connect your device to the USB cable and it will PROMPT to STEP 2 – Waiting for technician to start servicing. When you are on stage 2, now we will start working with your device. 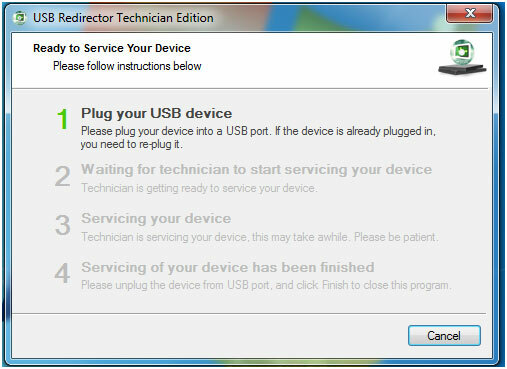 While the device is being services it will be on STEP3 – Please do not disconnected or reboot the device as the technician is working on your device currently. Once the service is completed it will be on STEP 4 – Servicing of your device has been finished.